I don't usually do makeup reviews, but this one is pretty special so I decided to share it with you all. The Urban Decay folks came out with a limited edition palette for their 15th Anniversary including 15 brand new, never before seen eyeshadows. I am a sucker for packaging and this one is probably the cutest palette I've ever seen from UD which is saying something, as their packaging is out of this world all the time. 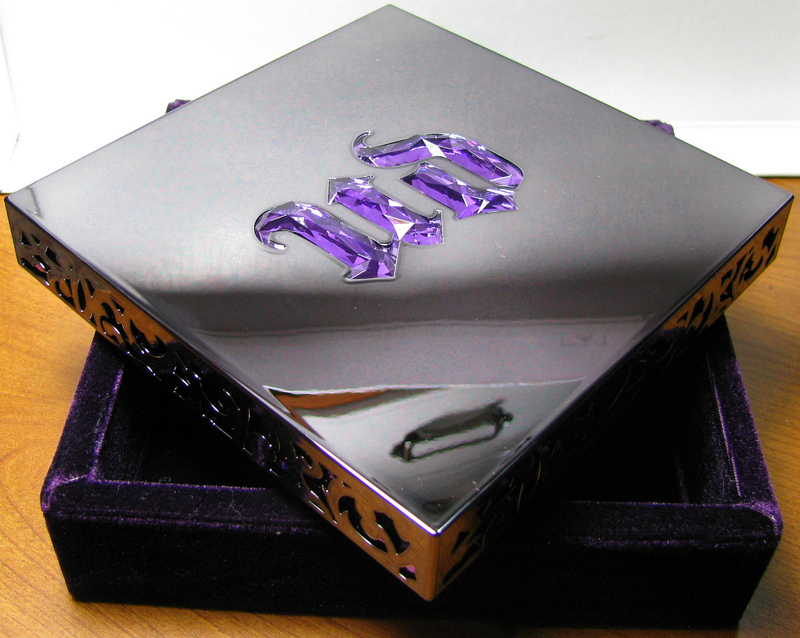 The palette rests in a velvet box for safe keeping, and itself is housed by a mirrored lid with cut out filigree designs on the sides. The UD on the front has a jewel-like appearance which I thought was gorgeous. The mirrored front collects fingerprints and dust like a magnet, but it also has a mirror inside the lid which is really useful because it's so large. I mainly bought this palette because all the shadows are new and UD re-uses shadows to death so I was excited to see these. 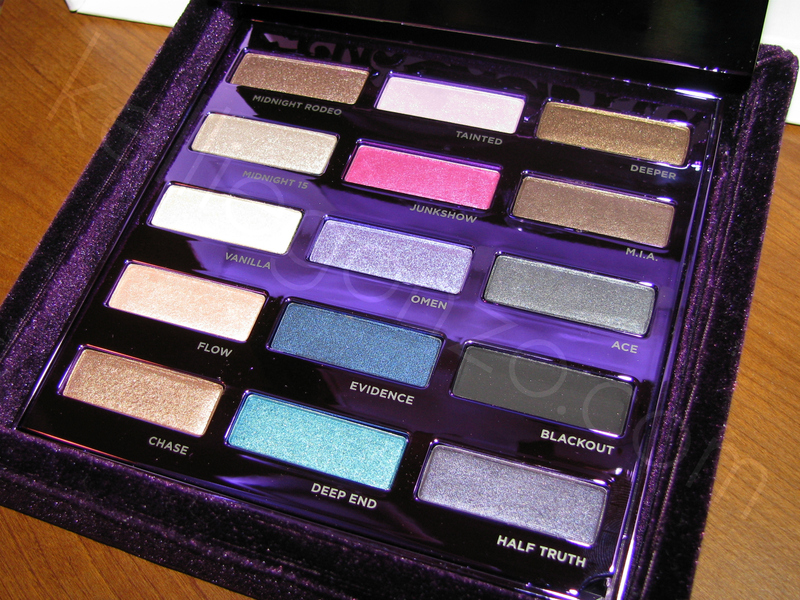 I've used a shadow from this palette almost every day since I bought it! First column, pictured above: Midnight Rodeo is a copper taupe with silver glitter pieces (the fallout from this one is not as bad as Midnight Cowboy but just barely). Midnight 15 is a silvery pearl taupe, gorgeous. Vanilla is a nice yellowy white gold that is a fabulous highlight color. Flow is a nice light pearly peach. 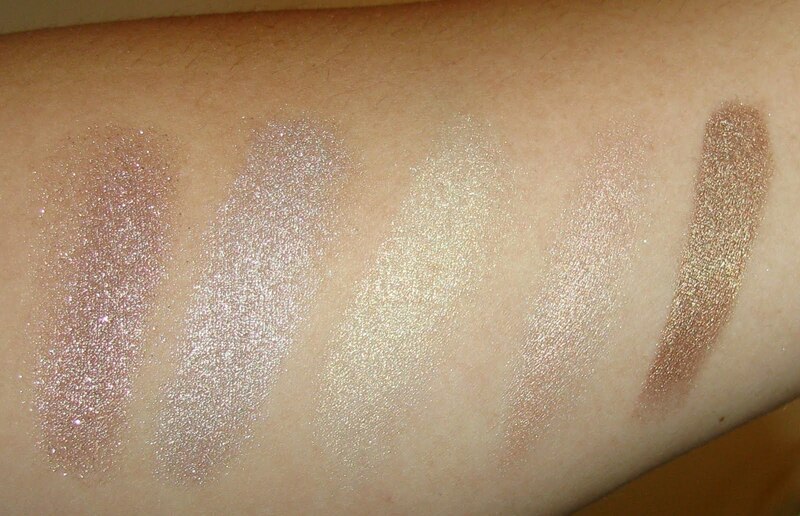 Chase is a vivid bronze that is really gorgeous and soft. 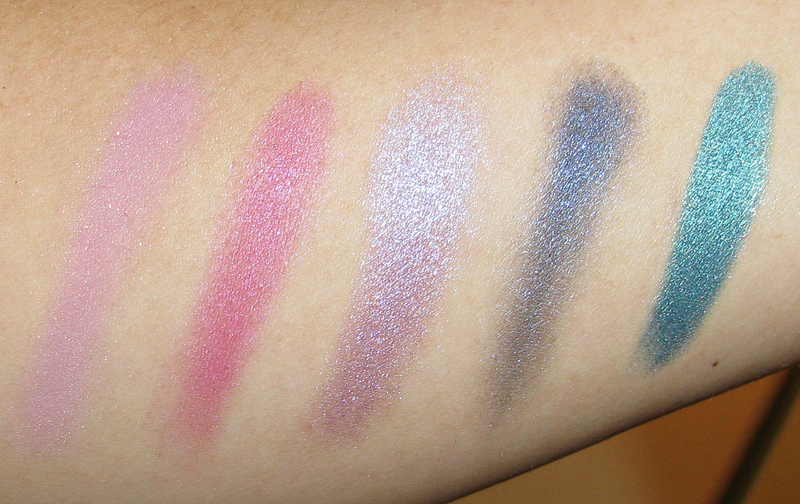 2nd column, pictured above: Tainted is a barely shimmery lavender pink. Junkshow is a magenta pink with a slight blue flash, really beautiful though I doubt I'll be wearing this one much. Omen is a medium lavender shade with a blue flash, gorgeous. Evidence is a metallic navy shade with a bit of that electric blue flash. Deep End is a peacock teal with the most pigmentation I've ever seen on a shadow! 3rd column, pictured above: Deeper is probably my favorite shade from the entire palette, a neutral with POW, a golden brown bronze. MIA is a gorgeous medium brown with awesome pigmentation. 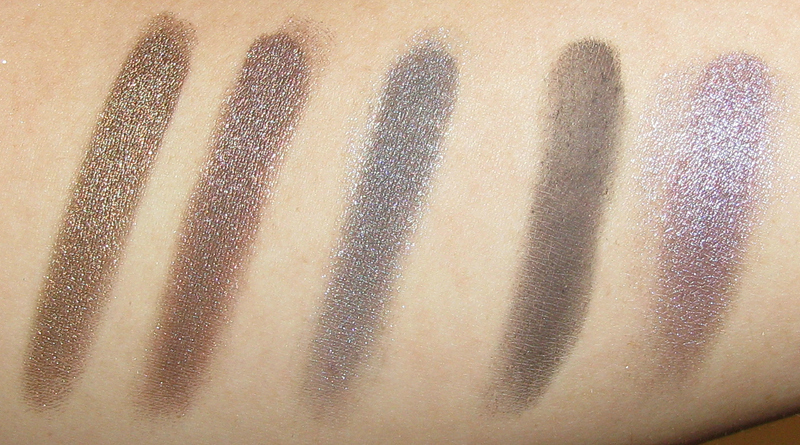 Ace is a gunmetal shade that leans a bit brown on me, which I adore--this is one of the standouts from this palette for sure. Blackout is a standard matte black, but the pigmentation on this one is lacking and it applies patchy. Half Truth is a shimmery purple with a greyed out finish.